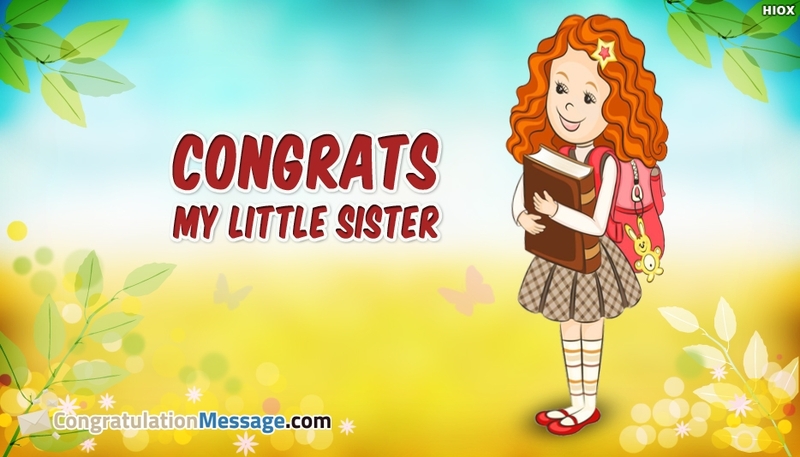 A beautiful congratulations picture to send to your dear little sister and make her feel happy. Congratulating your little sister on her success make her be more confident and win more successes. The picture portrays the art of a cute little girl with her school bag and books and the message "Congrats My little sister". Use this picture to congratulate your dear little sister on her scoring of marks/grades in the school tests/exams.